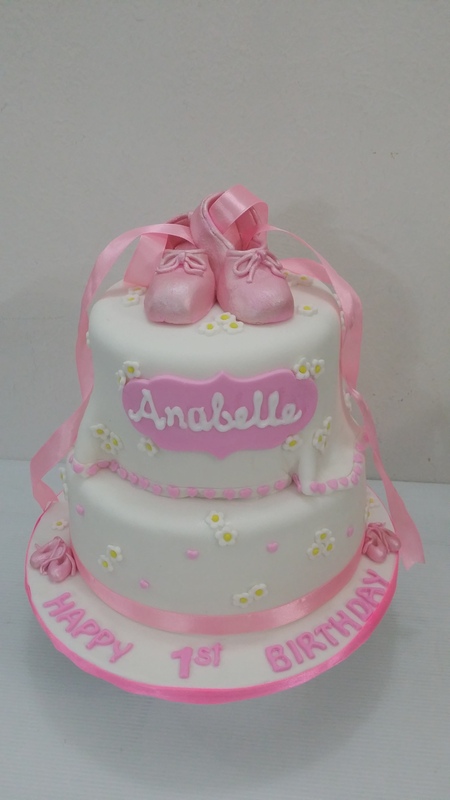 Ballerina cake for 1 year old Anabelle. 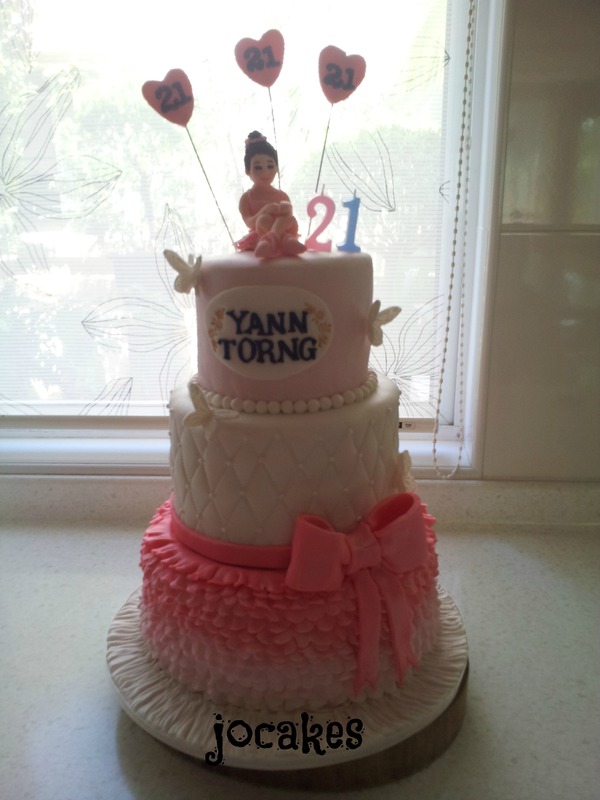 Ballerina cake for Yann Torng 21st birthday. 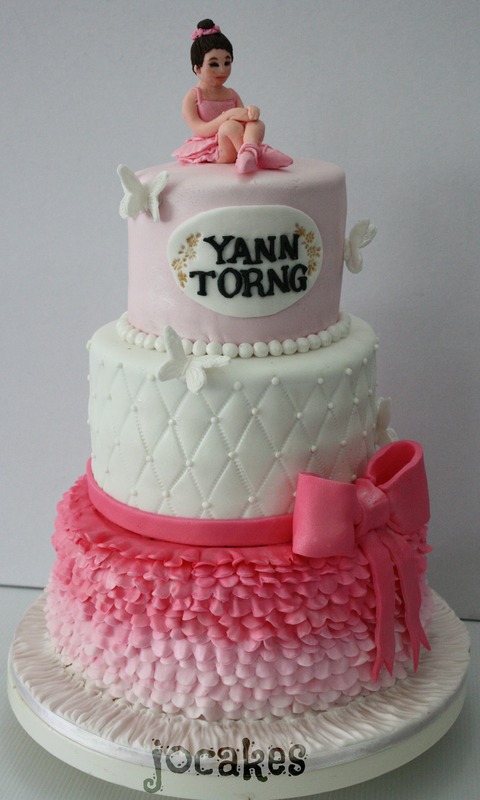 It’s a white and pink theme. 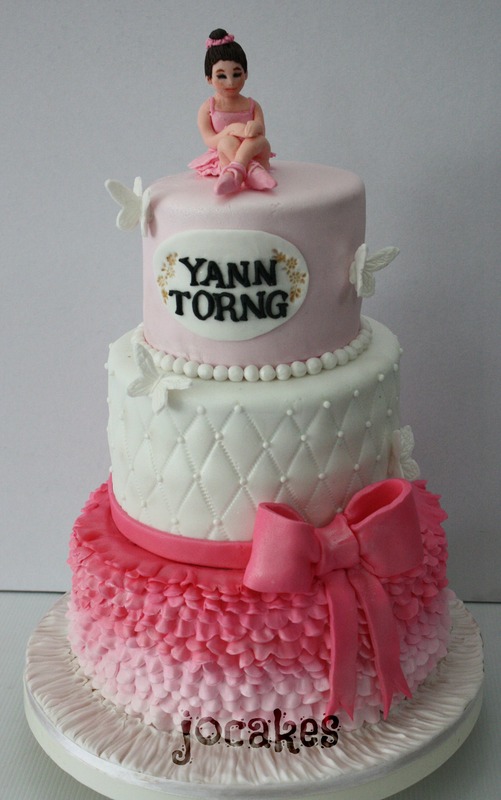 3 tier ballerina cake for Yann Torng who is also a ballerina herself since she was 6 years old. 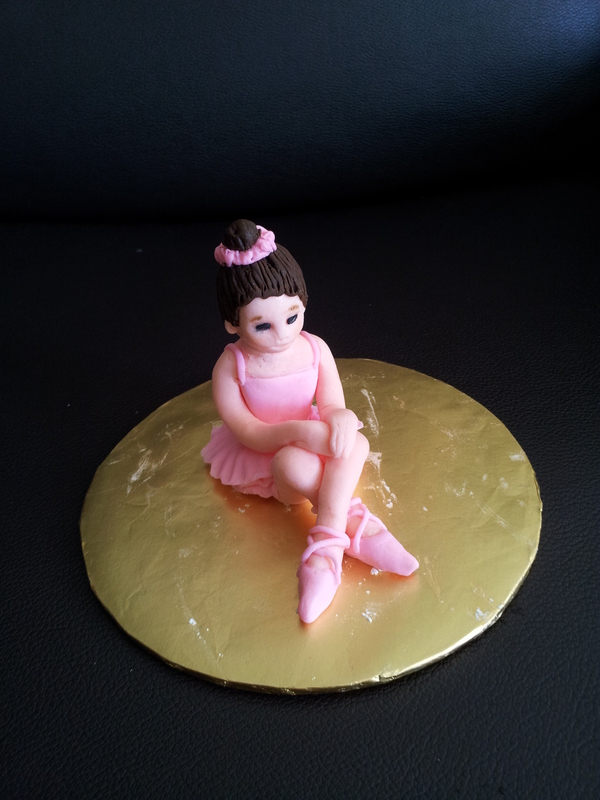 She also entered some ballet competition and help her teacher once a while as a replacement. 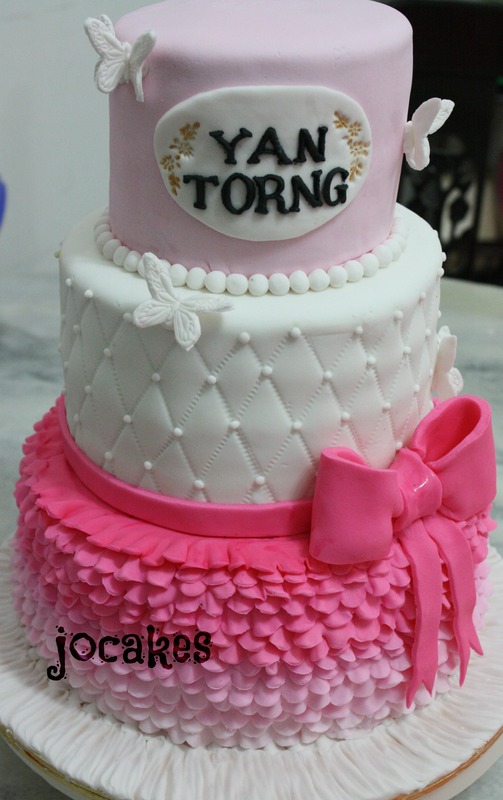 She had her birthday party with some 100 invited guests in her parents posh house at Valencia, Sungai Buloh. 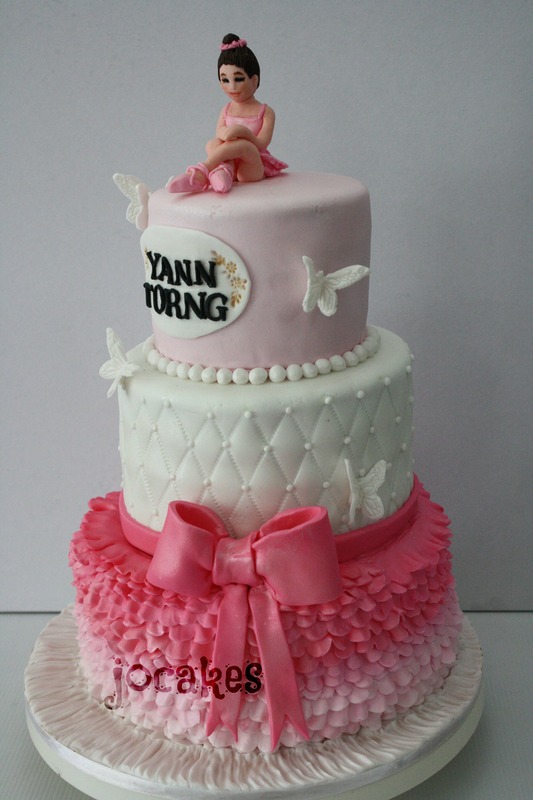 She loved the cake…yay!